Have you ever wanted to be in a big Hollywood blockbuster, but lack the obvious talent that is, most of the time, necessary for the job? 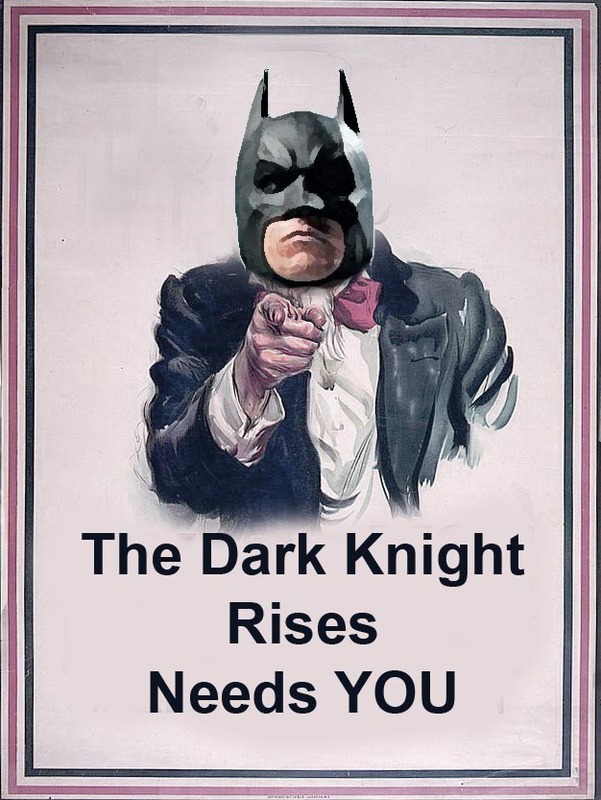 Well here’s your chance to be a part of The Dark Knight Rises, no skills needed. At Comic Con 2010, the audience were asked to chant certain words and sounds as they appeared on the screen. These were then used as the noise of the crowd in the games grid screen in Tron Legacy. The makers of Dark Knight Rises are giving fans the same opportunity, but this time from the comforts of their own home. By going to ujam.com, you can record your voice saying ‘Deh-shay bah-sah-rah mean’ and it will be used, along with thousands of others, in the final film. You can go as fast of slow as you want, they can fix that in editing, and don’t worry about the pronunciation as there is a sample you can listen too. Now go forth and secure your place Christopher Nolan’s Batman trilogy. In years to come, if you have no greater achievements, you can tell your grandkids all about how you were, technically, in one of the best, by then classic, movies of all time. Though I hope you go on to have some much greater successes than this, it’s still a fun story to pass along and who knows, if this trend catches on, your voice could be in all your favourite movies. Come on Resident Evil. What do you think? Are you going to make a recording? Do you hope to achieve greater things in your life time? Is there a movie series that you want to be a part of? Let me know by voting and leaving a comment below. Also don’t forget to subscribe/follow and click the like button. This entry was posted on November 8, 2011 by adamodwyer1. It was filed under News and was tagged with be, dark, how, knight, of, part, record, rises, to.